What Is a Cob Oven? Cob is a substance made out of earth, water, straw, clay and sand that has been used for thousands of years by different societies as a building material. Building with cob is a process much like sculpting, where each piece is shaped by hand and then dried into its finished form. Cob fireplaces can be built as stand alone pieces of furniture or can be built as a projected piece of furniture that uses an existing piece of cob wall. Cob fireplaces can be built into a cob building as the wall is being built or can be added as an addition at a later date. Cob can also be used to insulate and cover a metal wood burning stove giving it a natural finish and it will retain and generate more heat as well. Decide where the cob fireplace will be located. If you are building into an existing wall, corners provide more support. 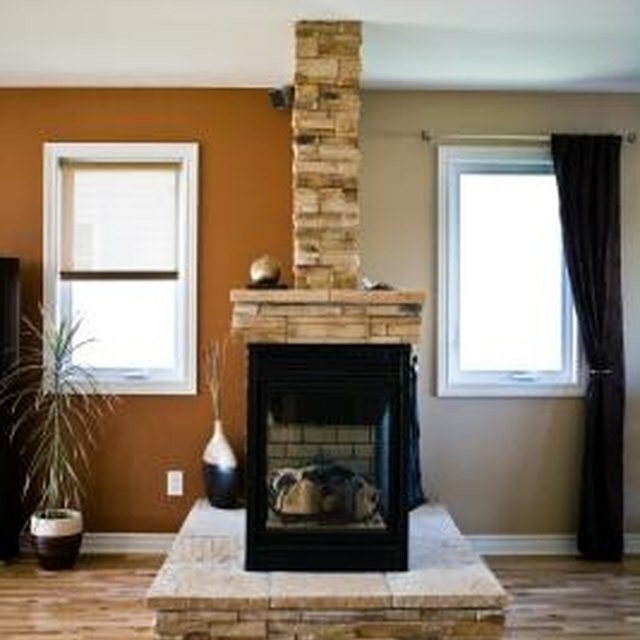 If you want the cob fireplace in the middle of a room, you will need to build a free standing chimney as well. Soak your clay rich soil in water for at least a full day. Any clay that separates from the soil can be saved and mixed with the sand and powdered clay later. Mix the powdered clay with the sand and then add water. If you are using raw clay then you need to break it down by drying it and then grating it through a wire mesh. Mix your clay and sand mixture with your wet soil and spread out like a pancake on a tarp. Make sure it is well mixed, moist and even. Now mix in the straw. You should use just enough straw so that each stand is separate and completely surrounded by the mix. You can now build your cob fireplace. If you are attaching it to an existing wall or corner, use extra straw at the joining places as this will give it more support. Finish the surface of the cob fireplace by using the spade with more clay and sand mix to seal the straw inside, as you don't want it to catch fire. A free standing fireplace may require you to build in piecemeal form the bottom up, letting each section dry before you build on top of it.